Laser Tag 0pen daily 9a-11:30p. Private Sessions, by appt. 2019 SEASON begins in SEPT! A few years ago a customer suggested we open one night for Adults 18+. We liked the idea, so we gave it a try in 2017. Panic Point and our patrons loved it, so its BACK in 2018. The haunters and scares are the same. The no contact rules between haunters and victims remains in effect. Raleigh Brewing Company will be on hand selling their delicious brews to anybody 21+. We will open at 6:30 for those who want to grab a drink and/or a snack (the concession stand will be open as well). Attraction lines will open at 7. We are selling a limited number of tickets, and the traffic through the attractions will be about 70% of peak flow, which will allow a bit more space between groups. We send groups in every minute, and since everyone going in is a big boy/girl, we can put more responsibility on you, our fine patrons to keep the pace normal. Its a short night. We will be closing our lines at 10, so if you are going to do it all, please arrive by 8. If you are doing the Triple Fright you should arrive by 8:30. If you are just doing one attraction you could arrive as late as 9:30. Can I bring just one child if I keep him/her with me? No, Sorry. Gotta stick to our guns on this one. We are open 8 nights after this one, so plenty of time for the young’ns to come back. The Haunted Trail is the attraction where you will find the most scenes, haunters, and screams at Panic Point. Eleven distinct scenes over the dim half-mile trail challenge your readiness for mayhem and fright. Make your way through the Butcher Shop, Scary Tales House, Voodoo Shack, Junkyard, Pallet Maze, Sanatorium, Motel, Crypt, Abby, Serial Killer’s Cabin, & Clown House. Scare Rating: 4 out of 5 skulls. Cost: $20 at the door. $18 Online. We do not sell tickets to the Haunted Forest a la carte on 10/20 or 10/27. 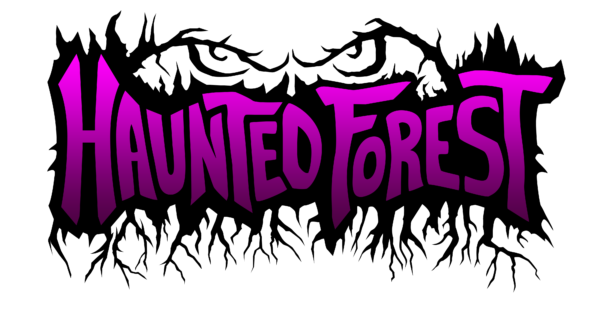 We only sell packages on those nights, all of which include a ticket for The Haunted Forest. Rumble deep into the woods on a broken-down trailer in the Haunted Hayride, one of the Featured Attractions at Panic Point (along with the Haunted Forest and the Dark Trail). 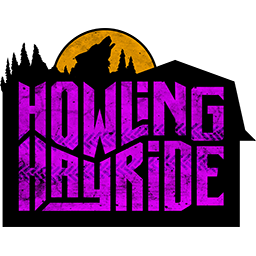 You’ll soil your hay bale as you traverse the Mine Shaft, Barn, Spider’s Lair, Service Station, and Vortex to Hell. But its the fluid of the crimson variety you need to be worried about. Hold on to your loved one, and your extremities, because the creatures that abide within are hellbent on one prize: your blood. Tell the conductor of this wicked wagon not to stop for anyone or anything, alive or (especially) dead, lest you are overtaken by the aimless, moral-less beings that possess the shadowy locales you will pass through on your journey. The security you feel on the moving vehicle is just an illusion. You can’t outrun the danger, and hiding your eyes won’t help, when fear is your cloak, and panic is your veil.